This high-performance cheque scanner delivers quality scanning at remarkable speed. 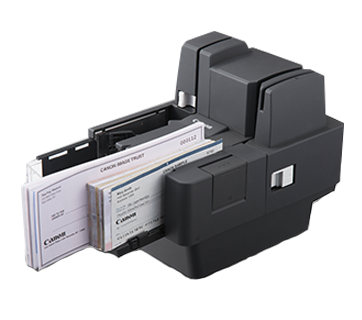 It offers card scanning function that facilitates easy ID authentication especially at front counter as well as backend process environment. Retrieve 5 lines of 60-character endorsement information as well as superior bitmap images simultaneously. Highly accurate MICR (Magnetic Ink Character Recognition) feature enhances character recognition, thereby reducing scanning errors. Processing speed is increased.